I am a woman of many contradictions. I am a woman after all. 😉 The most relevant this morning being my love/hate relationship with hazelnuts. I hate hazelnuts. I refuse to eat them. Roasted, salted, raw, whatever. Nasty. But I LOVE hazelnut coffee. Strange? Definitely. And I really, really love Nutella! Double strange. So you can imagine my excitement when Averie posted this recipe for Soft Nutella White Chocolate Chip Cookies. I was ecstatic! The point is moot because clearly I made these delectable Soft Nutella Chocolate Chip Cookies. They really are incredibly delicious! Perfectly soft and chewy with bittersweet chocolate scattered throughout. If you are looking for soft, chewy chocolate cookies that are in your face chocolaty, these are not the cookies for you. 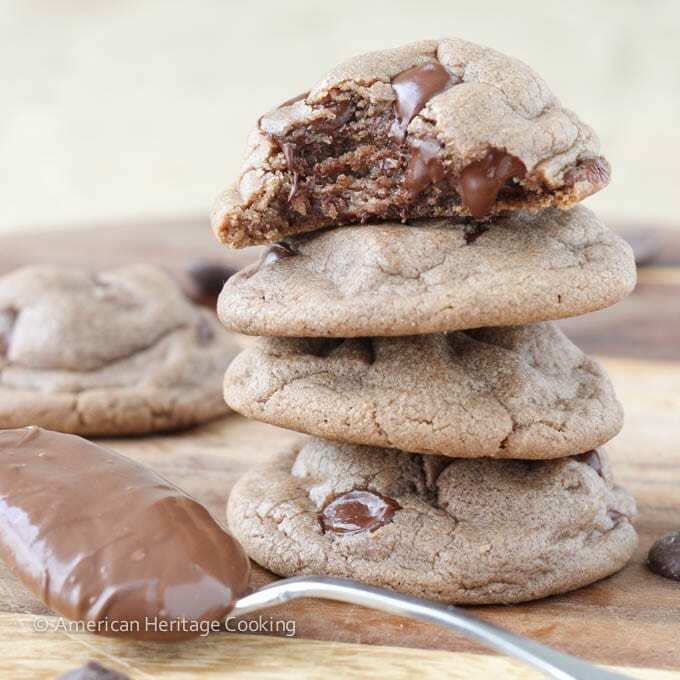 But don’t stress, my Quadruple Chocolate Pudding Cookies will satisfy even the most intense chocolate cookie craving! 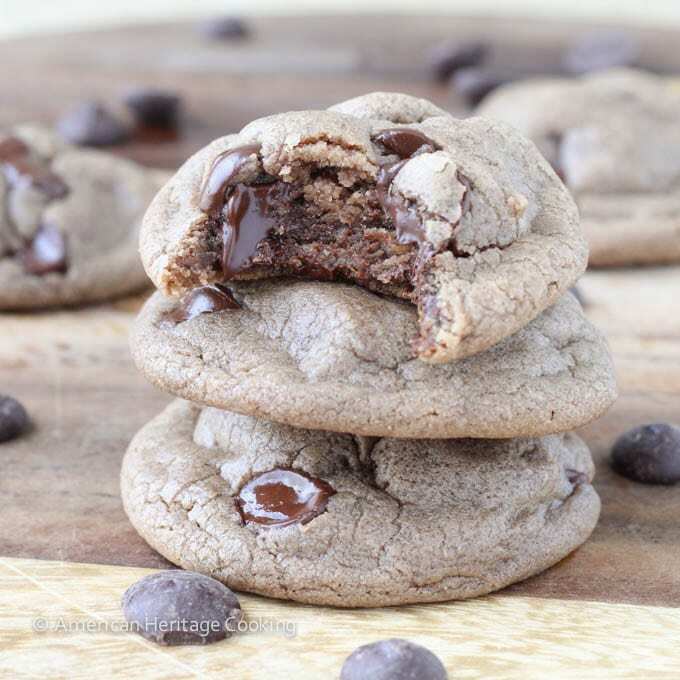 These Nutella Chocolate Chip Cookies are more subtly chocolaty with a hint of hazelnut. 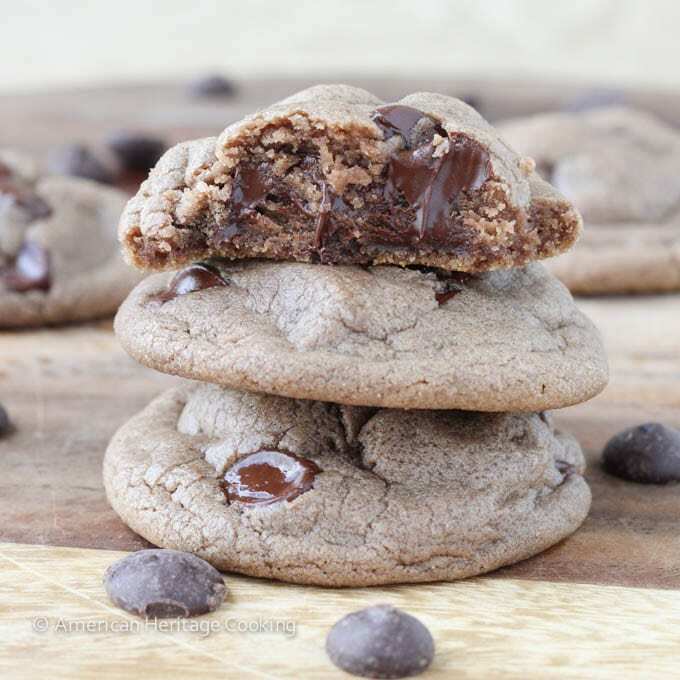 The bittersweet chips give a welcome burst of rich chocolate that perfectly complements the soft Nutella cookie. Mmmm perfection. Do you know what the secret is to keeping Nutella around long enough for it to expire? 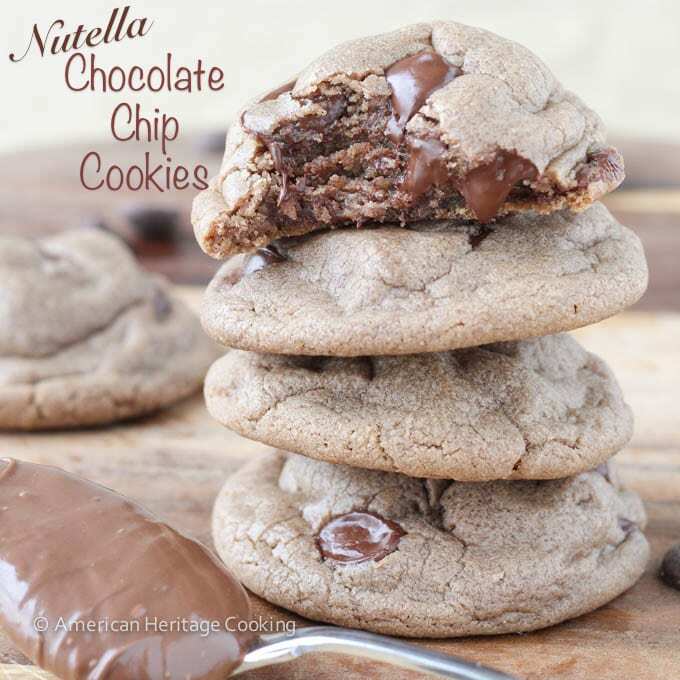 These Nutella Chocolate Chip Cookies are subtly chocolaty with a hint of hazelnut. Perfectly soft and chewy with bittersweet chocolate scattered throughout. Whisk together flour, cornstarch, baking soda an salt together in a medium bowl and set aside. Beat together butter, nutella, sugars, egg, and vanilla on medium-high speed in the bowl of a stand mixer fitted with the paddle attachment until well combined, about 4 minutes. Scrape down the bowl with a spatula once during this time. Reduce the mixer speed to low and slowly add the flour mixture until well combined, scraping down the sides of the bowl several time. Stir in the bittersweet chocolate chips until well distributed. Roll the dough into balls 1 inch in diameter and place on a parchment lined cookie sheet, plate or tray. Cover well with plastic wrap and refrigerate at least 2 hours or overnight. Preheat oven to 350° Place dough 1 inch apart on a parchment line baking sheet. Bake 9-11 minutes or until the edges are set and the tops have just started to brown. Don’t over bake or they will be crispy and the bottoms will burn…I know…I ruined some in the name experimentation. Let cool 5 minutes on the cookie sheet before removing to a wire rack to cool completely or not…I know I didn’t wait but I have a patience problem. Can you send me one of these cookies for breakfast? Please? They are calling my name! Thank you! I’m super excited about the new design! Oh yeah I can’t have Nutella around either because I always end up eating it all oops sorry not sorry! 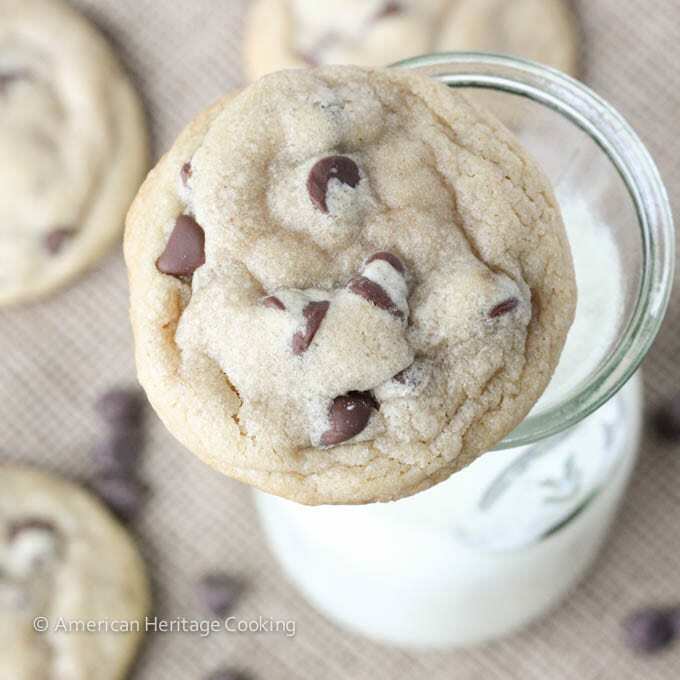 BUT I think I could totally make an exception and buy a jar of that glorious stuff just to make these cookies. OOHHH they look beyond awesome! Seriously – soft, nutell-y (yup that’s obviously a word) and stuffed with chocolate chips? I’m so into these! Thanks Consuelo! The jars and these cookies are DANGEROUS! I have some dough in the freezer and it takes all my willpower not to make 3 every night! 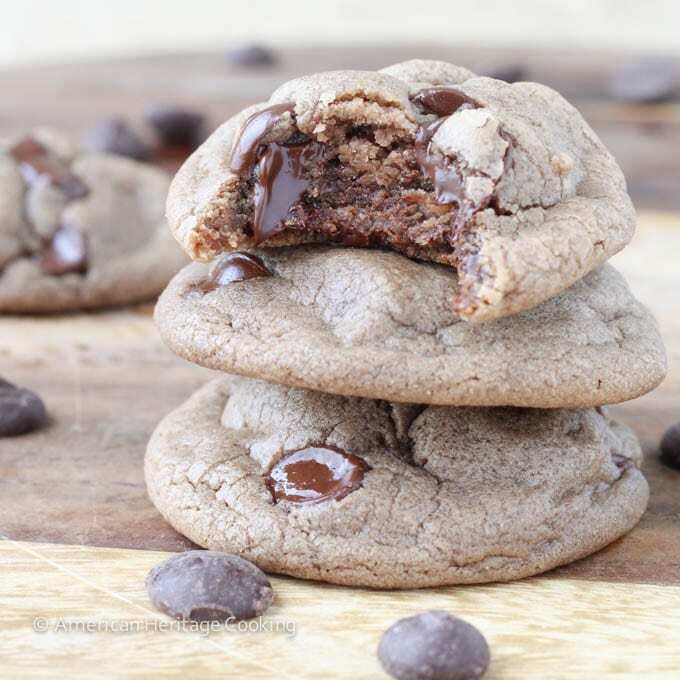 Aren’t nutella chocolate chip cookies the best? I made some a few weeks ago and have been thinking about them ever since! I will have to try out your recipe, especially with the ghiardelli chips, yum! The best! I hope you do try them out, Gayle! I totally eat Nutella straight with a spoon. Yum! But I’m you – a hazelnut? No thank you! And these cookies look amazing! Pinned! So you don’t like hazelnuts either! It feels so good not to be alone in Contradiction Land! Thanks for the pin! Holy cow! These cookies look absolutely amazing. 🙂 I think I want to shove one into my face as fast as possible. Is that allowed? And we need to have a chat about hazelnuts! Are you going to reprimand me for not appreciating the wonder that is hazelnut!? And shoving these into the face immediately is not only a great idea but also recommended! lol! I swear I’ve tried! I want to like them. They seem like such grown-up, sophisticated nuts, but every time I eat them…blech! Yum! I bet these are best served warm and gooey. You are so right! melty chocolate beats out most things in my book! The gooey factor alone is awesome. Pinned! Lol! So true. They just melt in your mouth. Mmmmm. Thanks for the pin! I heard about those but I haven’t seen them yet! Those would certainly help with the temptation of the whole jar!! They look delicious. Can you believe I’ve never had Nutella from the jar? I’ve made it before at my old job for one of the parties we had, but I never actually tasted the jar version. I can only imagine that what I made has some similarities to the jar version. My boss (who has tried the jar version)liked our house made version better lol. I love hazelnut coffee too. Love the aroma. And I am not too crazy about hazelnuts either. That is shocking! I’ll bet homemade is better just like homemade everything! What is it about the actual nut that is such a turnoff?! So odd! Oh yum! I could just gobble these right up! It’s funny how you don’t like hazelnuts but still enjoy Nutella 🙂 These cookies sounds wonderful.. Love how you captured the inside too. Thanks, Ella! The inside is the best part! You won’t believe this, but just 1.5 weeks ago, I discovered the wonderfulness of Nutella. I have always avoided it because of the hazelnuts (I’m not a nut fan of any type). Anyway, while in Lisbon, I tried a fartura/churro filled with Nutella thinking it was just melted chocolate! OMG! I now understand why people are crazy about Nutella! Now I get excited about any recipe with this luscious spread, which is so funny. 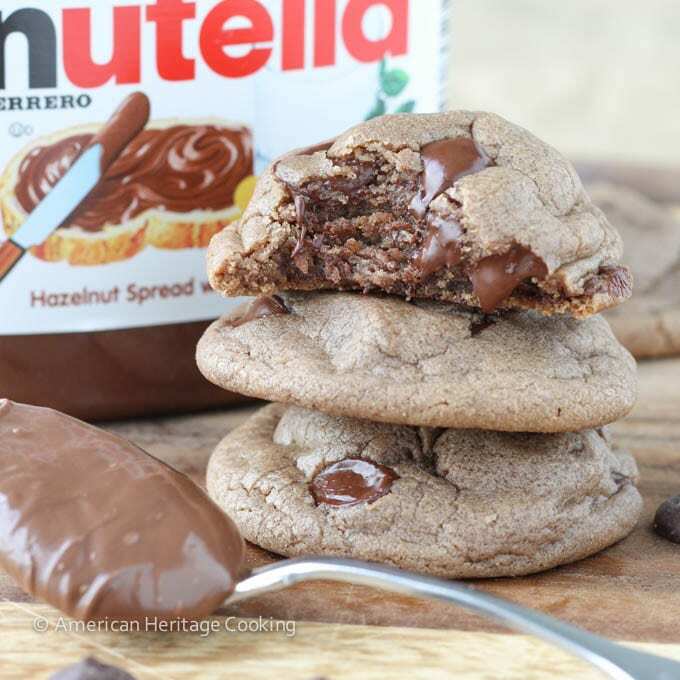 The first time I ever buy Nutella, I am going to make these cookies!! 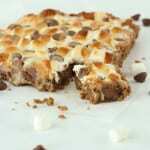 Thanks for sharing this recipe and these tempting photos! I completely believe it! I held out until several years ago because I just couldn’t believe that I would actually like a spread with hazelnuts in it! I tried my friend’s crepe with nutella and had the same experience you did! It’s soooo dangerous! I hear they are selling them in individual packets now, which would be way safer! These cookies look so fabulous! I haven’t bought Nutella in a long time because I lose control and eat the whole jar with a spoon. But now I feel like I really need to buy some! I have zero control around Nutella! I just polished off the last of it with a spoon this evening! Bad. You seriously must! Well unless you have as little self control around the stuff as me! I’ll have to keep trying hazelnuts just to make sure! 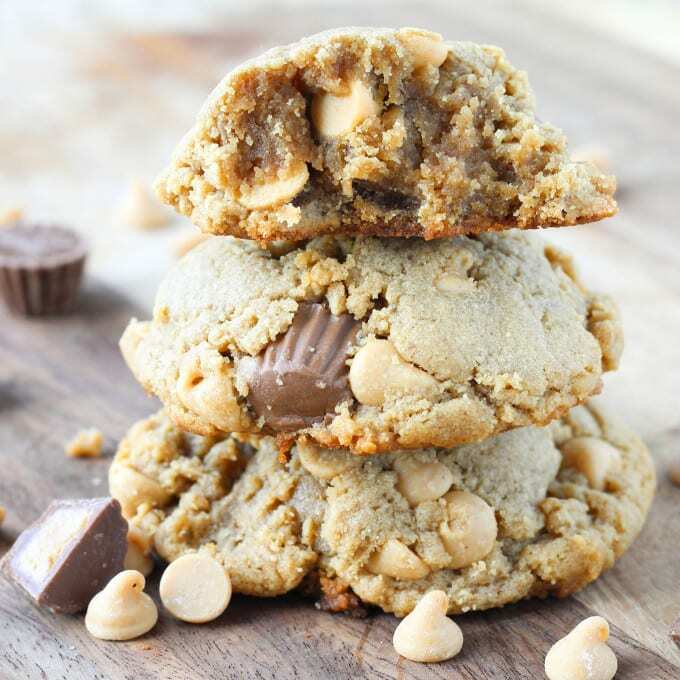 These cookies are so right up your alley! Glad you were able to try my recipe! Your cookies look great! Thanks for the fabulous recipe, Averie! I really need to try these. 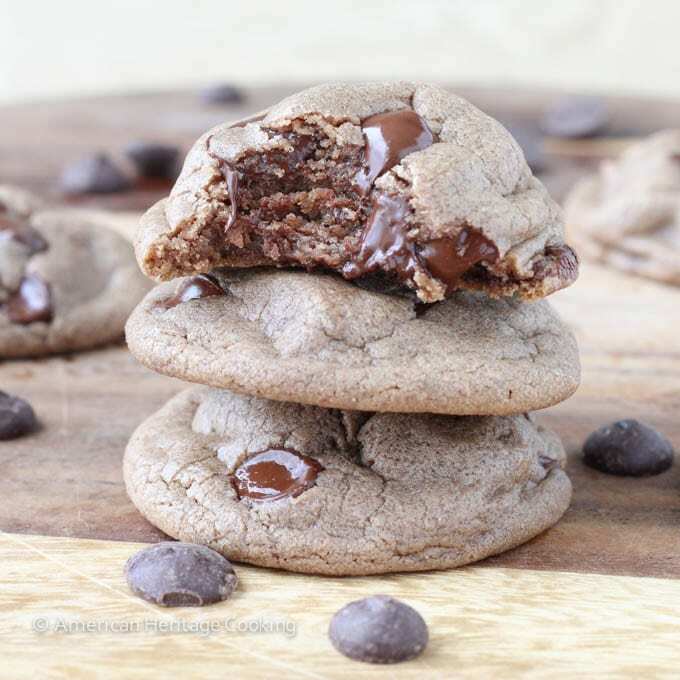 Was looking for cocoa or dark chocolate chip cookies recipe, this seems very nice. Haha! I wish they would pay me to say it, but, sadly, right now it is just my firm opinion! I made these cookies about a week ago, and OH MY GOSH! These are heaven in my mouth! They’re so moist, it’s amazing. My husband said they were too rich, he could only eat two. Fine by me! My toddler and I devoured the rest. lol your site is now my go-to for all cookie recipes! I actually just whipped up some cream cheese chocolate chip dough (it’s in the fridge right now). I can’t wait to see how those blow me away! Hi Kayla! I am soooo happy to hear that! I do love cookies and I take them very seriously! 🙂 I still have some dough of the Nutella ones in my freezer (I have them stashed in the back so my husband can’t find them.) 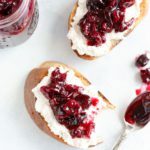 Let me know what you think of the Cream Cheese C.C. I absolutely LOVE those. The dough freezes well for those too. Enjoy! Oh wow! The cream cheese cookies were delicious too! I’ll admit, I was nervous making them because I’ve never heard of using cream cheese in cookies. But my oh my, they are good! I had them done right as my husband was walking in from work. He literally ate a plate full lol needless to say, they’re a hit here! Haha! I am thrilled that you loved those too! I think the cream cheese ones taste like the Soft Batch kind you buy at the supermarket (except better because they are homemade!). I gave some to the concierge and the postman, and they were fighting over that last few. I need to make them again soon…I think my freezer stock is running low! Enjoy! These are on my 2014 holiday cookie list. I can’t wait for this deliciousness to happen. Pinned! I made the list! Thanks, Jennie! I’m prepping these tonight to make them for my workplace tomorrow. Super excited to see how they turn out. Here’s a question for you – do they spread when baking? I found that I ended up with closer to 30 cookies than 20, and even the 20 on the pan are a snug fit. Alsooo I don’t have any parchment paper because it’s the one thing I forgot, so I lightly greased the pan… Hopefully that won’t hurt anything? Hi Carly! They don’t spread that much but they do spread a little (the colder your dough, the less they spread). I bake mine in batches on two cookie pans, so while one sheet is in the oven I am rolling the cookie dough balls for the next sheet. If you don’t have two sheets then you can bake one batch (the number that will fit depends on the size of your pan) and then when that pan cools keep the rest of the dough in the refrigerator. I hope greasing the pan worked and your coworkers enjoyed them! I guessed that the refrigerating might help with potential spreading, and it ended up working out pretty great in spite of not having parchment paper, too. ^_^ They were really delicious – I was a little nervous about cooking them too long and might have undercooked them but honestly no complaints either way; who doesn’t like a melt-in-your-mouth cookie? 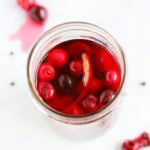 Thanks for getting back to me – I’ll definitely be using this recipe again! I’m so glad they worked out, Carly! I underbake my cookies too because I love a soft and chewy center! You can also freeze the dough in balls and bake them as you want them – they just need to bake a few minutes longer. I have some in my freezer in Atlanta right now! I am a nutcase (ha!) when it comes to those cookies and have been making them regularly since i first saw this reciper a month ago.They are perfection and the answer to most of daily hassles and world conflicts but in my case, they inevitably always come out flat. This isnt a deal breaker in itself and there are bigger problems in life but I swung by your page today to see if i had missed some crucial instruction the first time around. It doesnt look like it so i have to ask: how do you get your cookies to have this perfect mounted shape with the thick middle?? LOL. I agree that baking big puffy cookies is an extremely important matter! Without baking with you it is hard to give you a definitely answer but I can think of a few things. 1) What is the protein content of your flour? Even AP flour varies in it’s protein content by 100%, which is kinda crazy. I use Bob’s Red Mill most frequently and it has 4g of protein in 1/4 c. Gluten (the protein in flour) creates structure and will help keep them from spreading like crazy. 2) Don’t skip the cornstarch! 3) I made the dough rounds and chilled them overnight so they were very, very cold. 4) Sometimes I get lazy and make my dough rounds more like 1.5 inches in diameter. Bigger rounds that you roll into a tall cylinder instead of a ball will give you a fatter cookie, so you could try rolling them more like a small can and less like a round ball. I also don’t flatten the rounds before I bake them, which is why the tops are so domed on mine. 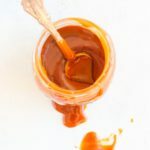 As for temperature, try 325 F. If you bake them hotter, especially straight from the fridge, the outside will cook and brown faster than the inside can cook, so you will get a crispy outside and a raw inside. These crispy raw cookies probably won’t spread as much but they won’t be cooked either! Your oven could also run hot. 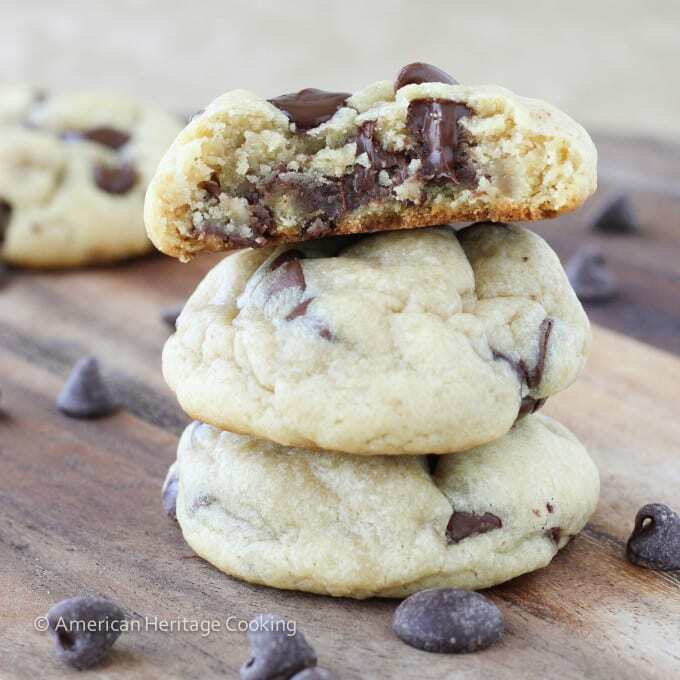 Invest in an inexpensive oven thermometer so that you know exactly what temperature your cookies are baking at. The flour i use has about the same amount of protein as yours (and i put in heaping amounts this time), i definitely use the cornstarch since i got it especially to make this recipe in the first place and im undefeated at anticipating the craving and preparing the dough in advanc so it does spend the night and most of a day in the fridge. However because my baking dish is too big, i have to refrigerate the whole bunch of dough in a bowl and do the rolling thing just before sticking them into the oven. So ill give the cylinder shape a try and turn the heat down slightly and report back to you on the results! Practice makes perfect…or so they say! In my case, it might very well earn me perfectly clogged arteries and elastic waistband jeans but on the plus side i wont be needing scented candles in my house for a very long time. The good news is, i believe i am almost done with the trial part of the program! So for the next time: i will try rolling the dough balls before refrigerating it as it seems it is the only thing i did differently. I also think i need a lighter hand when mixing the ingredients together. 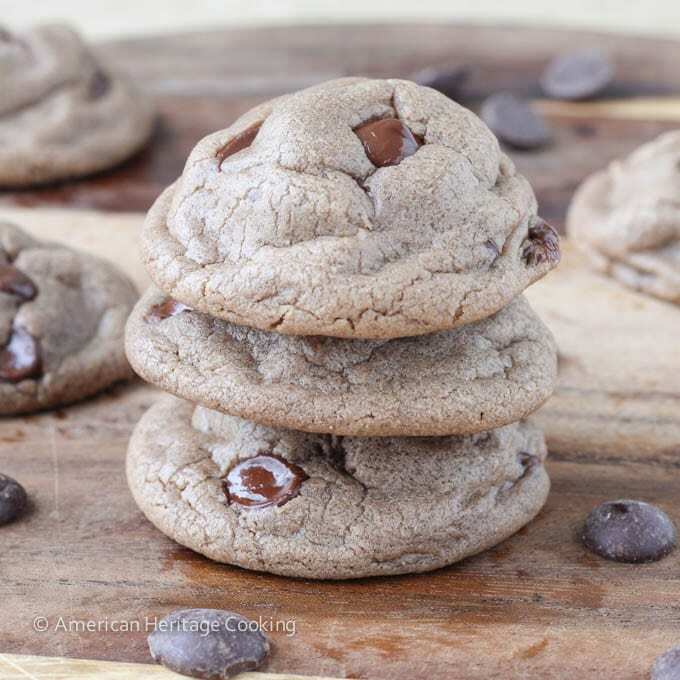 I tend to get zealous over clumps and, despite knowing better, overbeat the whole thing (that might be a solution for that triple chocolate chip cookie recipe though…). I end up with a nice and smooth dough that gets runny when it bakes. Lastly, i will use a bit more flour and keep the lower temperature. Such a simple recipe with so few ingredients and it feels like im trying to crack the Rosetta stone! 🙂 Thanks for the support through it all! I think rolling them into balls pre baking will absolutely help. So would freezing them preshaped. In the name of experience only (and certainly not gluttony) I have dutifully kept on working on this cookie dough in the past week. I am happy to report that the many attempts at obtaining nice mountain shaped cookies will not have been in vain as I finally reached this ultimate goal in life with my last trial! Yay me! I added a bit more flour, closer to 2 cups, which showed me how right you were about different flours within the same type being completely different, and i followed your trick of freezing the pre-made balls of dough. That was a slightly longer process: because the dough was too sticky to roll right after mixing it, i stuck it in the fridge as is for about an hour, or until i remembered to tend to it, then i rolled it into cylinders and back in the fridge. I only put them in the freezer a half hour before baking them so they wouldnt be completely frozen. I kept the lower temperature and voila! Nice thick cookies, still not quite as perfect as yours and different in color as well (ive been wondering how you get that whitish color on the outside) but im thinking the flour here is the culprit and not much i can do about that where I am. Now the final verdict: after all this, the trials, the questions, the forced binging on cookies… I think Im going back to my flat cookies! 😀 The nice thick cookies are beautiful but also much more cakey and I really love the almost-caramel-like-chewiness of the flat ones. Nevertheless, it has been a super fun and educative experience! Thank you for sharing it! Oh my goodness, Eva!!! Your dedication is remarkable! 🙂 I am glad you finally achieved the cookie heights you desired! The amount of flour is one reason why I really wish Americans would hop on board the weighted measurement train, because there is inevitably a different between how I scoop 1 cup of flour and how everyone else does it. I read that the difference can be over 1/4 a cup for each cup of flour! And then there is the different protein content – the bag of AP flour in my cupboard with 4g of protein per 1/4 cup is going to provide a chewier, stronger cookie than the one with only 2g. This is why baking is a combination of art and science! I looked at my before and after photos in Lightroom and the whitish color is partially from adjusting the exposure, so don’t stress too much about that. The camera also dulls colors, which leads to a totally different kind of frustration! They were never dark on the outside but they were like a light brown. This is definitely the only cookie that I pre-roll and refrigerate before baking. It’s too much effort and I am way too lazy for that! Your description of the flat ones sounds amazing! I will need to try them flat 🙂 Thank you so much for coming back and reporting your results! Happy baking! Yum! My favorite kind of cookie. 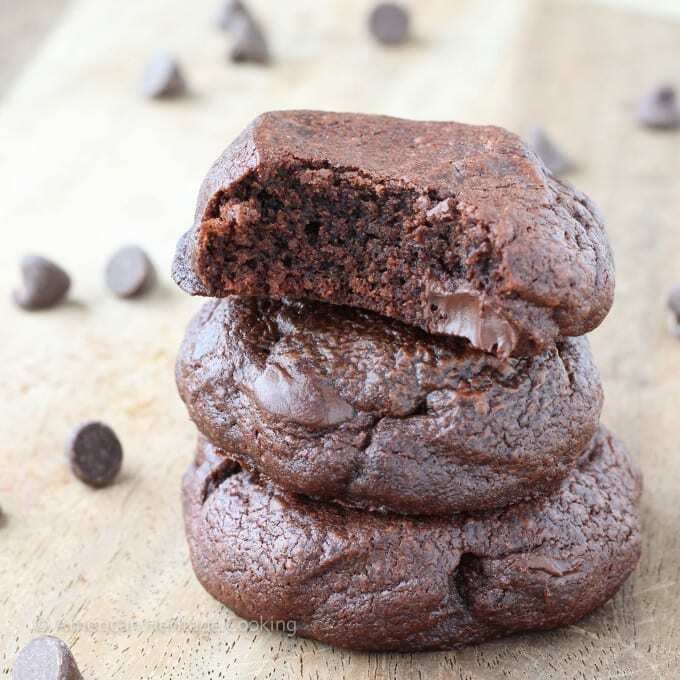 Dense, chewy, and rich (with Ghirardelli chocolate chips). I wanted to reach right into my phone and grab one. Pinned this so I can make these cookies. I’m so glad you liked them, Annette! Sounds like your substitutions worked beautifully! 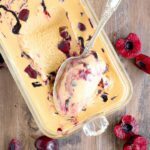 Necesito la receta en español. Por favor se ve Muy deliciosoo!!!! Hi Evelyn! Unfortunately I don’t speak Spanish. 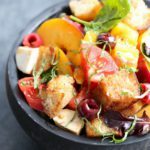 I’m learning now but I definitely don’t know enough to translate my recipe! Hmmmmm…only trouble with this recipe is I will have to “double” it because 20 cookies will not be enough! Haha! I totally agree Sena! These all look amazing! 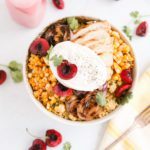 Please could you provide the list of ingredients in metric measurements? Hi Taryn! While I wish I had the time to update all my recipes with metric measurements, I don’t. Google can get you close! These are sooo good. I have the second batch in the oven right now. Needless to say, the first batch is already missing a few cookies 😉 They’re very chocolatey, but not overpoweringly rich. I just used regular semisweet chocolate chips because that’s all I had. Yum! These turned out super yummy, rich and not too overly chocolatey (which was what my husband was afraid of). The Nutella flavor really comes out!! I ended up with 31 cookies though and totally missed the part about refrigerating the dough and just baked as soon as I finished mixing; they turned out just fine. 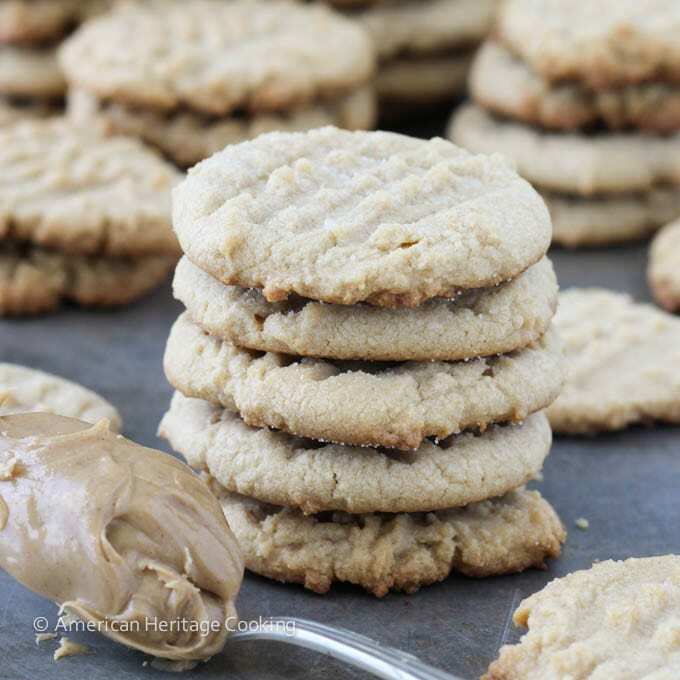 I read the comment above about someone’s cookies turning out flat- I have found if I use salted butter, my cookies are flat and brittle so I always use unsalted butter in my cookies. Hope this helps!! These are amazing. They are officially my husband’s favorite, as he told me they’re “the best cookies [he’s] ever had.” Thank you! I’m so glad he liked them!!! Thank you for stopping back by to tell me, Carli! Happy baking! I made these today. they are absolutely fantastic! Such a huge hit with our family. Thank you! I’m so glad you liked them, Amber!! Thank you for this awesome post. All the pics are so fabulous and simply mind-blowing. 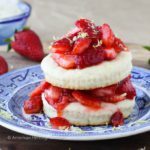 I am going to use some of the tips which you have mentioned on here for preparing more mouthwatering, softer and yummy cookies.